Lost Lands, the Super Bowl of bass music, is September 14-16. Hosted by Jeff Abel, aka Excision, the three-day head-banging marathon is set to rock central Ohio with 1 million watts of bass and dinosaurs for company. With headliners such as Flux Pavilion, Ganja White Night, Illenium, Jauz, Nero, NGHTMRE, REZZ, Rusko, Slander, Snails, and Zomboy, bass heads are coming home to roost. The festival grounds are Jurassic Park-themed, painting the treacherous and adventurous landscape of dubstep. Below are 10 acts where festival-goers might find a dancing astronaut this weekend. Abel’s the host of this event for a reason. He has three scheduled sets throughout the weekend. Check out his most recent Apex album for reference. Circus Records co-founders are legends in the game, dating back to the emergence of dubstep in the United States back in 2009. Flux Pavilion’s new single, “Party Starter” with Eliminate, is showing off some of that bass trap, an increasingly popular sub-genre that will heavily be featured in contrast to the heavier bass music. His set is a back-to-back one with Doctor P, so take a preview of Doctor P’s newest track, “Cold Individual,” with Shapes. After beating cancer last year, dubstep OG Rusko is back at it. He resumed touring and producing in 2018, releasing his Has Made 5 More Songs earlier this year. 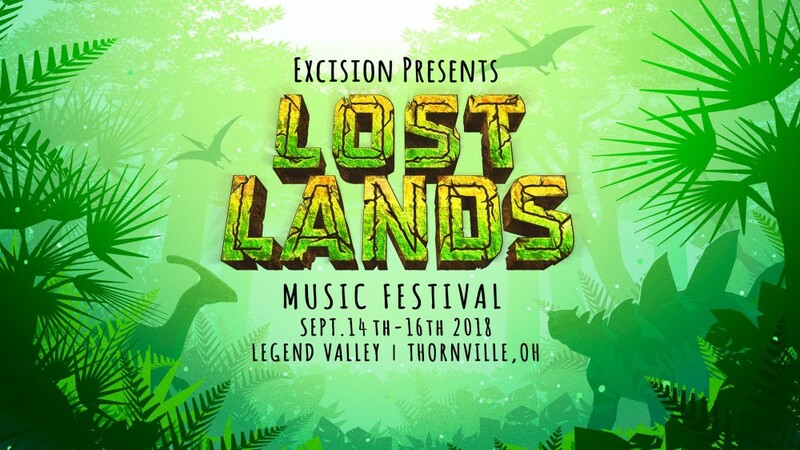 Lost Lands is a stop along REZZ’s recently embarked Certain Kind Of Magic tour, promoting the album that helps solidify her dominance within the modern bass space. Bass music underneath downtempo dubstep rhythms and worldly sounds is what Ganja White Night is known for. Their 2018 Origins project features a well-constructed, visual, and audio narrative about bass music’s cartoonish superhero, Mr. Wobble. From recent collaborations with ZEKE BEATS to his side project with Alix Perez, SHADES’ In Praise of Darkness LP, EPROM’s creativity and genre exploration is unique in a field of uniques. Speaking of unique bass projects, um.. is up there in the ranks. In what almost sounds like an entirely percussive arrangement, this duo creates forward-thinking rhythms using synth sounds, sub-bass, and personality. Pay respects to the teacher. The prolific composer, devoted educator, and frequent Bassnectar collaborator is bound to teach emerging producers something in these three days. He even teamed up with KJ Sawka to release a new track just before the fest. There’s so much bass music at this festival, and the ears will need a break at some point — preferably from the emotionally liberating Said The Sky, whose new album,Wide-Eyed, defies the confines of electronic dance music. This year, Lost Lands had budding producers and DJs submit their dream sets for various sound camps set up for the after-parties around the campsites. While the main sets end at midnight, the bass keeps thumping until 4 a.m. with acts such as Carbin, Ducky, G-REX, and YOOKiE leading the way. This is where the underground of the underground will thrive, and in this lost world of pop music misfits, life will find a way.